At Seer, we see the search for information as the beginning of a journey. While this journey has traditionally meant organic and paid search campaigns, our efforts have evolved as users’ habits have. Instead of just using Google, searchers have taken to sites like YouTube, Reddit, and Pinterest to look for information, inspiration, and products. As marketers, we know that the best way to be successful is to be where our audience is. For some of our clients, that place has turned out to be Pinterest—and its popularity isn’t exclusive to just our clients. Since launching in March 2010, Pinterest has amassed over 42.3 million active users. Most discussions about Pinterest talk primarily about its female audience, which is warranted since 44% of American women online use Pinterest, but usage among men has been growing—28% of men online are active on the platform. No more jokes about how Pinterest is just for cupcake recipes and nail art! Many social networks can boast a user base that’s just as large as or bigger than Pinterest, so why are we focusing on this platform? I’m glad you asked. According to Shopify data and Seer’s own clients on the platform, Pinterest drives the highest revenue per transaction when compared to any of the other major social channels. Not too shabby for a website that didn’t exist until 5 years ago! Because we have seen so much success on Pinterest with our own clients and across the industry, we decided to put together a guide to help you understand the ins-and-outs of Pinterest and how to help your business thrive on the platform. While we won’t call it the ULTIMATE guide (because let’s face it, that word is way overused), we hope that this resource will help lead your business to find success on Pinterest. The resource is divided into eight different chapters to help you gain a stronger understanding of all things Pinterest, from how to start a business account to how to run a successful Pinterest contest. Because everyone may be at a different level, from a beginner to an advanced savant, we went with a “choose your own adventure” type format. Feel free to skip ahead to the Advanced section if you already have a handle on beginner stuff, hop down to learn about Pinterest advertising, or read everything from the start—we won’t judge. Starting from the top, let’s talk about what Pinterest is. If you’re here, you probably at least know that it has the potential for great marketing visibility and engagement. No? You didn’t know that? Well, stick with us through this 7,243 word guide and we’ll convince you. Pinterest describes itself as “a place to discover ideas for all your projects and interests, hand-picked by people like you.” More concretely, Pinterest can be described as a visual bulletin board to bookmark articles, products, and images. Let’s dive into each of the features. Pins: Pins are the basic component of Pinterest. They are images that could link back to any page on the web, like a product, article, or recipe. Boards: Boards are how pins are organized on individual profiles. Pins have to be pinned to a board—they can’t be posted without one. Users can create boards for just about any topic, from refreshing summer drinks to super simple DIYs, etc, which can be classified into 34 pre-set categories that Pinterest has. Boards can be public, for other users and friends to see, or private, for your eyes only. Group boards also exist to allow several users to collaborate on creating a board. 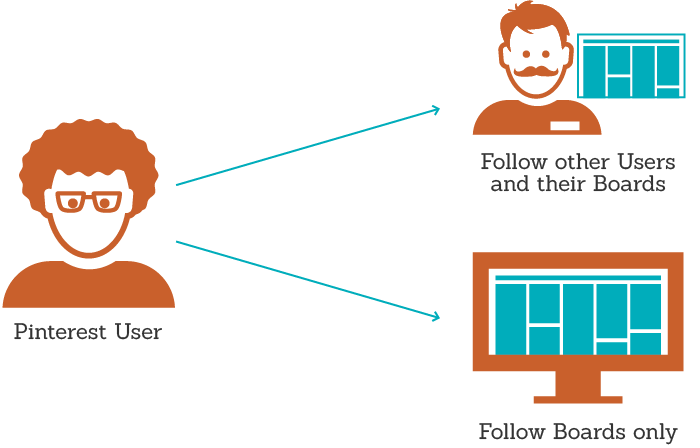 Users can follow other users, which means you’ll follow all of their boards and pins. Users can follow specific boards. So, if a user has several boards but you only want to follow their “Shaken, Not Stirred” cocktail board, you can. Categories: Categories are sets of pins organized across all of Pinterest by the 34 predetermined groups chosen when creating boards. These range from photography to hair & beauty to sports and beyond. To make Pinterest successful for your company, it’s important to open a business account on Pinterest, not a personal one. Why? Business accounts give you the ability to verify your website, so your users will know your account is official. You’ll also have access to Pinterest Analytics, a huge resource to help you understand how users interact and engage with your content that we talk about down below. It also allows you to utilize Rich Pins and to get on the waitlist for the Promoted Pins beta. These paid pin options allow business to get their pins shown more often than regular pins for related searches and categories. Check out the video below to learn how to set up a business account on Pinterest step-by-step. This is a great question! When deciding how many boards to display within your Pinterest page, it’s essential to start with at least eight. I know that may sound a bit high, but it’s important to show that you’re sharing interesting items right off the bat. Creating a variety of board types from the start is imperative since you’ll want to showcase your unique style and interests. How many pins should I post on each board? It could definitely vary, but a good guideline is to have a minimum of 20 pins per board. You don’t want to have a board that’s too bare—and you don’t want to go overboard with pinning too many items within one category, either. You should aim to stop filling a board when each one gets to around 100 or so pins. An excess of pins can cause users to have to scroll for a lengthy amount of time, which can cause a bad user experience. How often should you be active on Pinterest? There is no “right” amount of time to be spending on Pinterest. However, we’d recommend spending some time on Pinterest every day. If possible, try to split your dedicated Pinterest time into morning and afternoon sessions. Ideally, your activity should be sprinkled throughout the day—not a huge pinning spree all at once. 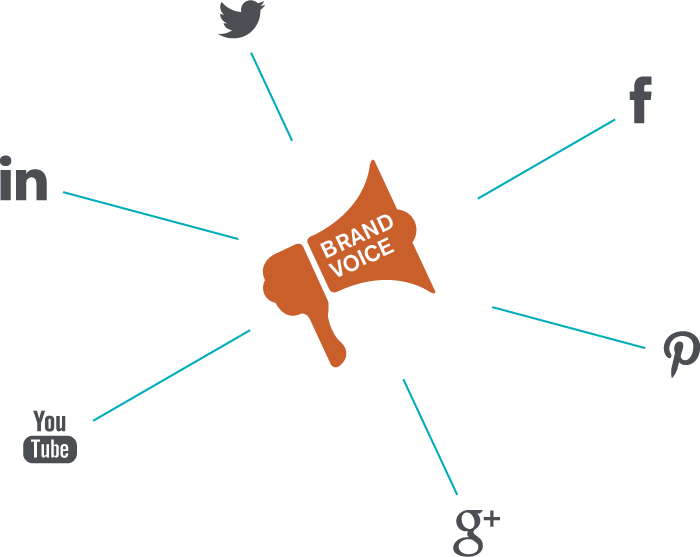 Creating a consistent voice on any platform your brand is present is important and Pinterest is no different. Before you begin pinning, you’ll want to think about how you want to position your brand on Pinterest, the tone you’ll take, what types of pins you’ll post, etc. If you already have brand guidelines in place for your site or other social networks, use these to guide your Pinterest strategy. You’ll want to position your brand on Pinterest to align with your other social networks, so that your followers can come to expect great content on each channel. But, it’s also important to change things up and provide content that’s a bit different from your other platforms to demonstrate the unique capabilities that Pinterest offers. If you’re launching a new product or service, you can use Pinterest to begin capturing benefits and feelings that the new offerings could provide. 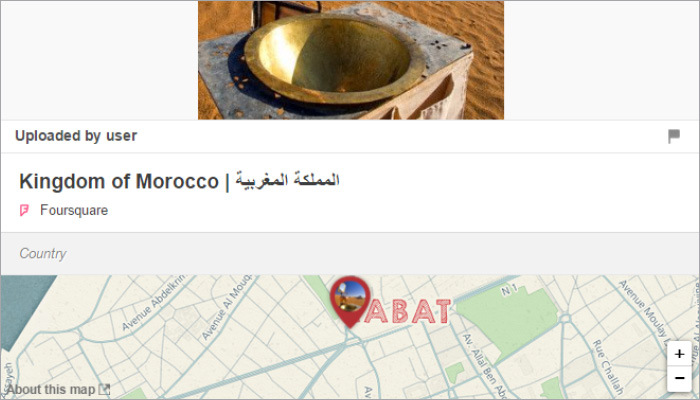 You could even use Pinterest boards to tease upcoming new launches to see if your followers can guess what the new location, product, or service is by posting relevant pins! While many users turn to Pinterest to find quick DIY instructions, they’re also using the platform as an inspiration bulletin board. Don’t be tempted to make your profile all about how-tos and top 10s, include a variety of aspirational pins to motivate your fans as well. These inspirational posts can connect to users on a higher level and to emotionally bond them with the content you’re posting. If you’re able to inspire users with “reach” pins and help them make their ideas a reality with how-tos, you’re more likely to gain long-term fans that are invested in your feed. Connect other social networks to Pinterest: You’re able to connect Facebook, Twitter, and Google+ to Pinterest through account settings. By linking your accounts, your activity on Pinterest can automatically be posted to the other networks. If you don’t have a lot of time to devote to Facebook and Twitter posting, this could be a good solution, but you’ll have to be careful not to overwhelm your followers with pins. For many brands, keeping these social strategies separate may be best. Add “Pin It” Button to your website: These buttons are the easiest way for customers to save the things they like from your website to Pinterest. The “Pin It” button can easily be integrated within each relevant page of your website and will allow your fans to pin your images and content directly to Pinterest, so it can be discovered by other users. Instructions on how to add this button to your site can be found here. Add Pinterest icon to your website: Many websites have a section on their site with links to all of their social platforms. We recommend adding Pinterest to this line-up to expose your profile to your customers. By connecting Pinterest to your website and other social networks, you can increase traffic to your profile by exposing your account and pins to your current customers and fans on Pinterest. If you want build relationships and get noticed on Pinterest, treat it just like any other social media platform and be social. Just as you would on Twitter, Facebook, YouTube or Google+, be sure to comment on and “like” the pins of other users and businesses. Pinterest has recently taken a step back from their comments section, leaving pictures to become increasingly more visible (in the SERPs, as well)! In 2013, Rich Pins were introduced. These are more engaging formats of pins that allow businesses to share additional information or resources about pinned content or products. To take advantage of rich pins, advertisers need to prep their site with the appropriate code updates and apply for inclusion. Details about which rich pin is right for your business and specific implementation guidelines follow. App pins are the newest type of rich pin. With 75% of traffic on Pinterest coming from mobile devices, app pins make it easier for users to find and download apps directly that can solve their problems. 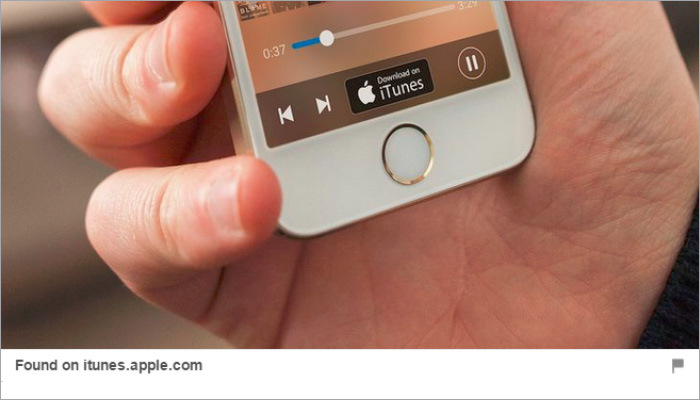 App pins are a great way for businesses to promote app downloads on iOS, currently the only compatible app store. 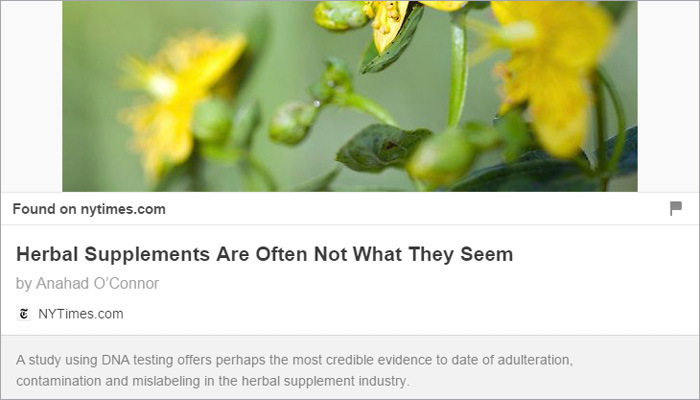 Article Pins pull in a headline, author and story description about articles or blogs. 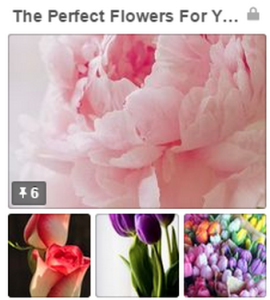 They help pinners find and save stories that matter to them, and make these pins stand out in the Pinterest interface. These pins were created with online magazine and news outlets in mind, but are also great for any business with content they’d like to promote. Movie pins help pinners learn more about new flicks and classic films by displaying ratings, cast members, and reviews. Movie pins are fairly niche and are appropriate mostly for entertainment industry businesses and third-party video retailers. But, if you’re a movie buff that wants to share your favorites with your followers, you can try utilizing the format as well. Place Pins use Foursquare’s API to include details like addresses and phone numbers. Place boards are curated maps of place pins that can be created by a single user or collaboratively. Place pins work best for driving foot traffic, so these are ideal for any business with brick and mortar locations looking to engage people offline. Product Pins pull in the price, availability & where to buy, meaning they’re great options for any online retailer. They’re even reportedly lead to higher CTRs. Once you’ve enabled Product Pins, Pinterest will email customers when an item goes on sale, plus you’ll also be into Pinterest’s new “Gift Feed,” which is designed for shopping and lets users shop by price point. 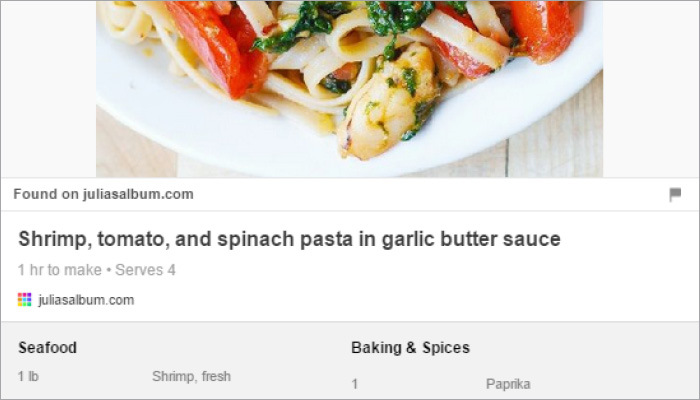 Recipe pins feature ingredients, cooking times and information related to dietary restrictions underneath a pinned image. These make it very easy for pinners to take a dinner idea to reality with easy to follow instructions. These pins are great for restaurants and food companies looking to promote their own recipes and products. In addition to regular boards, Pinterest offers two additional board options to help businesses increase visibility and engagement. The first option is secret boards. Pinterest is a great platform that hosts ideas and memories in one place. With the functionality of secret boards, brands are able to keep their boards private as they build up pins, then launch launch the board when enough content is added. 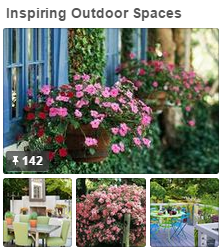 Another great feature to explore for Pinterest is group boards. These are boards that owners can invite other relevant pinners to pin to. For businesses, it could be a great idea to find group boards that align with your brand that have reliable contributors and a good following and see if you can be invited to participate. Pinning content to a group board can expose more users to your Pinterest profile and content, potentially increasing your repins and followers. Pins should be colorful and attention-grabbing. Reddish-orange hued images tend to get 2x the repins as blue-ish images do. Pins are inherently shaped like upright rectangles, taller than they are wide. Take advantage of this structure by posting pins that are taller as users tend to repin these more often than wider pins. At this time, the ideal pin width is 735 pixels without restriction in length. A great way to take advantage of taller pins is to post infographics (if it makes sense for your brand) within your feed since users may repin these images at a faster rate. Keep best-performing boards at the top of your profile. Push boards that aren’t performing well to the bottom of your profile. You can work to improve these boards and move them to the top of your page when they’re being better received. Or, if the approach didn’t seem to work, take it as a lesson that the content may not work for your audience. Try to vary your board categories to cover different topics that relate to your brand. 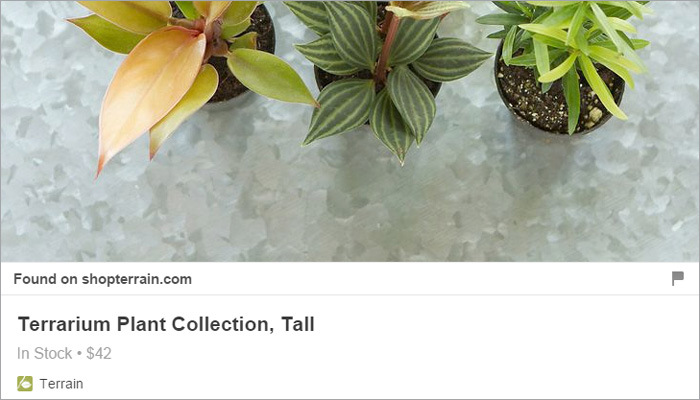 In addition to timely and seasonal pins, be sure to include plenty of evergreen content with long-range repin value. Your uploaded file names automatically become image titles, so make sure to optimize these. 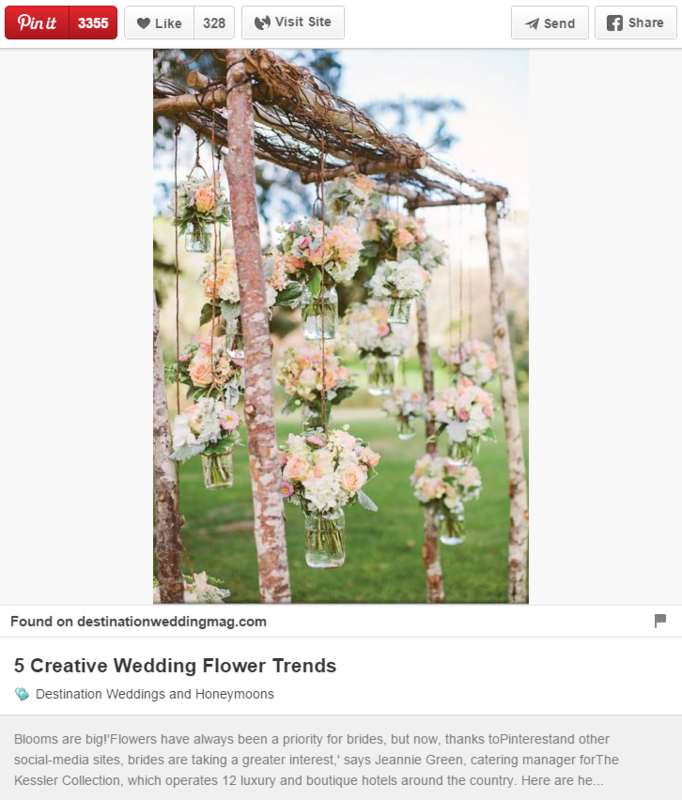 Which do you think Pinterest is more likely to crawl and rank: img400097 or “12 tips for affordable flower arrangements”? Pinterest does not automatically add a link to your pin if you manually upload it. Get the most out of pins from your own site by including a link back to the product page, blog post, etc. Share the love—pin from a variety of sources, not just your own site. Not selecting a board category. Make it easy for people to find your boards. Aggressive pinning sprees (or inactivity for long periods of time). Your followers should expect your pins—or, even better, look forward to them! Don’t leave them hanging and then remind them you’ve been gone by going on a pinning spree. Keep it relevant to your brand and, ahem, appropriate. No one wants to see the same thing a bunch of times in a row, No one wants to see the same thing a bunch of times in a row, No one wants to see the same thing a bunch of times in a row. So, you’ve mastered the Pinterest basics (or, you’re a Pinterest ninja and skipped down here from the get-go. Bold. We like it). How can you take your Pinterest skills to the next level? Here’s a guide to the additional tools, analytics, and advertising options that can help you up your Pinterest game and start seeing some serious results. Before diving in, remember: Pinterest + search mindset = ideal outcome. Use the knowledge and tools you already have for SEO to influence your profile. From keyword optimization to description length, using your search-oriented brain will easily set you apart from your competitors. You use keyword research to optimize your title tags and meta descriptions for every page on your site—why not your Pinterest boards and descriptions? Just like title tags for SEO, your Pinterest board titles and pin descriptions can be optimized. When it comes to pin descriptions, while 500 characters can be used, try to stick to 150-160 characters. It’s important to use major keywords and get your point across—but 500 characters can get a bit lengthy. And your followers can’t repin if they fall asleep in the middle of reading a novel of a description. Though there is no Pinterest equivalent of Google’s Keyword Planner, it is safe to assume that keywords popular on Google are similarly popular on Pinterest. In addition to these tools, Pinterest also provides users with suggested keywords related to a user’s query that can also be used influence board names and pin descriptions. 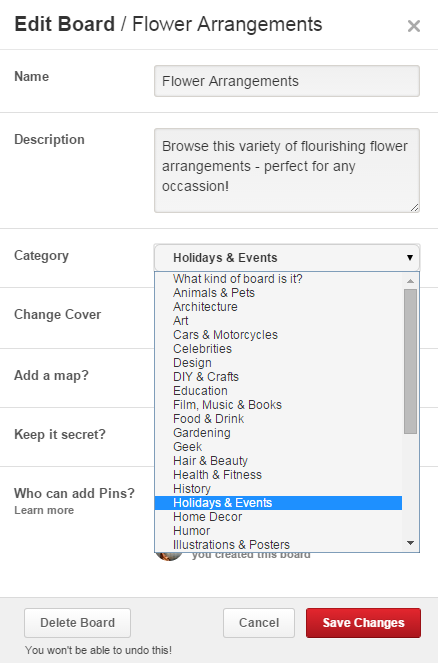 Knowing how Pinterest associates ideas and categories will help inform the way you optimize your pins. 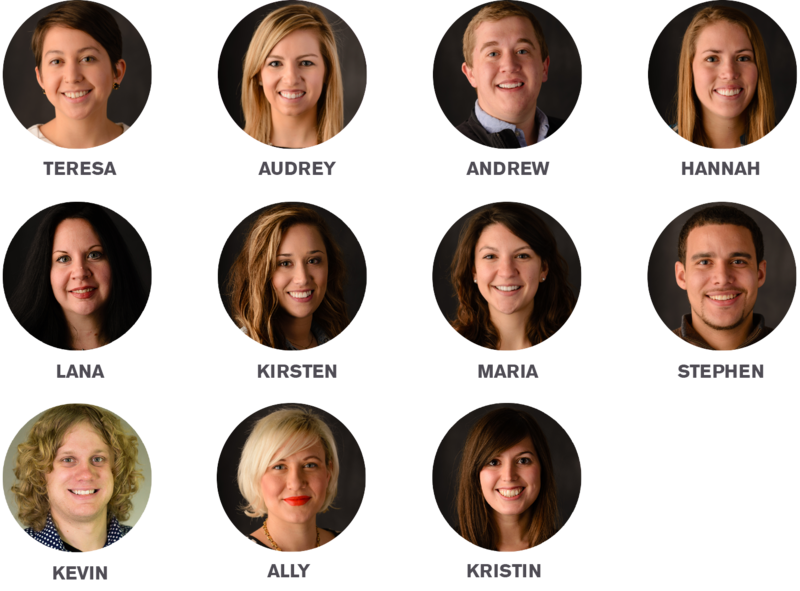 Additionally, this inside info can help inspire new boards! Okay, so now you know how to find key terms to use to optimize your Pinterest boards and pins. Great job! Now what? Check out our Tools section to learn more about SEM Rush and how to use it to help to optimize your Pinterest boards specifically to increase their ranking potential on Google! You’re probably thinking, isn’t this entire resource supposed to help with marketing on Pinterest? Well, yes, you’re right, but this section is dedicated to unique and unexpected ways to use Pinterest, so we thought it warranted its own chapter. Read along to discover new ways to use Pinterest for your marketing, and let us know on Twitter if you have any other ideas. Why do people love live TV? Because it’s exciting to watch things as they happen and not know what’s going to come next! Elle does a great job of this by live pinning designer fashion shows on their profile as they happen. Pinterest fans get an immediate view of the fashion from the front row while in the comfort of their own home. So, if you are participating in an upcoming fashion show, conference, bridal showcase, etc, consider live pinning pictures from the event. This new and exciting content will give your followers something they don’t see every day! Everyone loves free stuff—it’s a fact of life. So, give the people what they want and host a Pinterest contest. Contests can increase followers, repins, and general engagement to your profile. Like Facebook, there are rules and regulations about running contests on Pinterest. Follow this checklist to ensure you’re doing things the right way! Before you start, be sure to check out the Pinterest branding guidelines to help you stay on the right track. Be creative, not greedy! Inspire your followers to join your contest with an awesome concept or prize instead of forcing them to do so with strict rules involving comments and likes. Create a landing page on your site to promote the contest that includes rules, instructions, prize details, and a link to your profile. Include the dates of your contest in your Pin description to provide your followers with a gentle reminder of the contest deadline. Make your instructions as clear as possible. Pinterest contests can get confusing, fast. While you’re at it, promote your contest on your other marketing channels. Don’t force entrants to do anything. This means no required follows, pins, comments, repins, etc. More specifically, requiring entrants to pin your contest rules is a big no-no. And it’s cheesy. Don’t run contests every week. Free stuff is cool—but contests should be sprinkled in a few times a year, at most. Do not imply that Pinterest is sponsoring or endorsing your contest. Because one, it’s not true. And two, it’s against the rules and could result in negative consequences for your profile. For the love of all that is actually creative, don’t name your Pinterest contest “Pin it to win it.” It’s been done—and Pinterest is over it. Cross marketing isn’t just for contests. You have other marketing channels—use them! Promote a new Pinterest board in email marketing or tweet out the details about your upcoming guest blogger Pinterest collaboration! Collaborate! Find a blogger or influencer in your industry who fits with your brand and invite them to take over the account for a day. Not only will this shake up your the daily routine (and give you a few hours to relax! ), but you now have the attention of that blogger’s audience. Don’t forget to ask the blogger to promote on her/his channels, too! Before we get started, let’s clarify what we mean by advertising. People talk about marketing and advertising almost interchangeably in the digital world.For our purposes here, when we talk about advertising, we are referring exclusively to paid placements on Pinterest or Promoted Pins. It’s important to note up front that while Promoted Pins are more widely accessible than ever before, they are still technically in beta, and there are some restrictions and requirements to meet. You need to have to have a business account. Apply and be admitted from the waiting list. Comply with Pinterest’s Rules for Advertisers. In order to promote a pin, you will need to upload it to your Pinterest account so it is available for promotion selection. Once you’ve selected a pin, you’ll be directed to the targeting interface. Here you will select the terms and themes that would connect you to your target audience. On top of terms and themes, you will be able to select locations, languages, devices, and genders. Once you have all of your targeting options selected, Pinterest will estimate the size of the audience you will reach within your criteria. The minimum CPC you can set is 5 cents, and like any paid auction advertising, the more you pay, the more visibility your promotion will have. You will only actually be charged when a user clicks out to your site, not for in-Pinterest shares or engagement. At Seer, we saw average CPCs hover around $0.31 and as low as $0.27 for one campaign. Since our example above was a seasonal campaign for Mother’s Day, you would want to set your end date to the last possible day for delivery in time for Mother’s Day. The same principle applies to other scenarios like sales or limited time offers. An end date is optional. Your daily campaign budget will depend on many factors. Your CPC should be taken into consideration, as well as the overall length of the promotion. If you wanted to ramp up visibility throughout the run of the campaign leading up to Mother’s Day, for example, you could come back and raise the daily budget each day or week leading up to the delivery cut off. The final step is naming the campaign. You’ll want to make sure this is informative, as this will tie back to performance in the dashboard. Campaign names should be tightly knit based on the theme of pins. 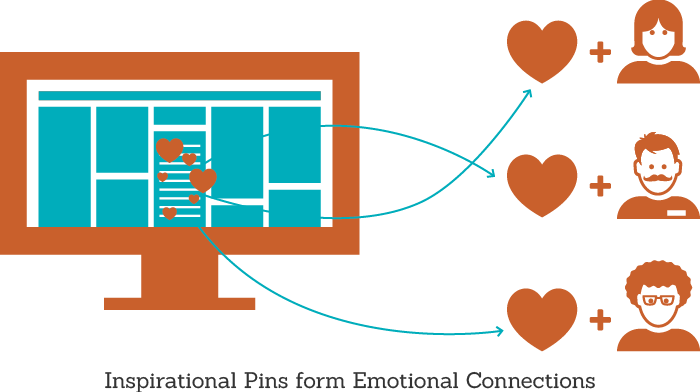 We recommend putting pins in individual campaigns to control budgets if you want all pins to have equal exposure. Before you do any sort of paid promotion, you should have Google Analytic profiles and goals created. This is important so you can tag your promoted pins (actually, you should tag all of your pins) with UTM parameters to distinguish what content is driving success and traffic within Google Analytics. Google has a great URL Builder that you can use as a resource for building your tagged URLs. Source would be the website driving traffic. In this instance it would be Pinterest. Medium is the type of traffic (i.e organic, paid, display). For this example we would use CPC to indicate a cost-per-click method. Campaign is the name of the promotion or theme of the content (should be the same as the campaign name you created above). With these tags in place, you will be able to log into your GA account and view performance at an individual pin level. You might find that one pin is driving 85% of your traffic, but only 5% of purchases. You might decide to pause that pin and shift more of your funds to pins that are driving higher purchase volume. There are so many tools available to help manage social media platforms—whether you need to automate, alert, interact, or do some research, there’s likely a tool (or two!) out there that will get the job done. However, with a never ending supply of support at your fingertips, it’s more important to know what you want to accomplish so you can incorporate the right mix of tools into your arsenal. That way, you’re being as efficient as possible and not just using every new tool that crops up without real thought as to why. This is one of the most basic ways to use Google Trends. How has interest in your brand name changed over time? If you are focusing on specific locations for a campaign, you can also filter these results by country, region, or city to get more accurate data. You can also apply this process to more general search terms, to gain an understanding of overall interest. Let’s take a look at how we can reframe this familiar tool into ways it can be used to inform Pinterest strategies. When looking at general search terms related to your industry, can you spot any patterns that appear year after year? Spotting and acting on trends that occur on a yearly basis will allow you to better connect with your audience when they’re most interested in hearing from you. 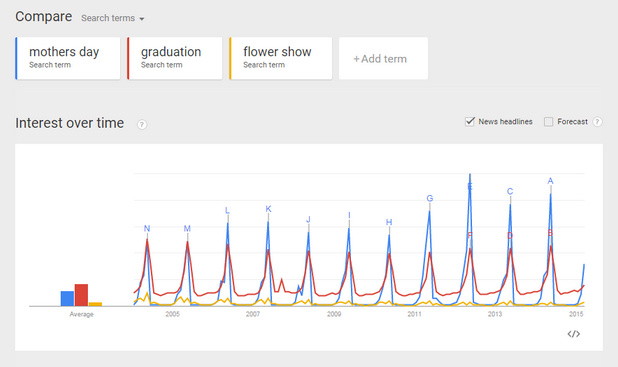 Understanding that searches for flower industry trends spike in May, we can properly plan for the production of relevant content to be produced during this time frame. A marketing consultant would never tell you to produce content solely based on the information you find in Google Trends. There are simply too many topics to accurately make assumptions on this tool alone. However, depending on the industry, it may be helpful to compare a variety of terms to determine if there’s a natural priority that a list of content ideas may take. 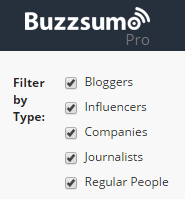 Buzzsumo is the perfect tool to use when analyzing how content performs for specific topics or competitors. You can also use this handy tool to identify influential people associated with topics related to your brand. Spend some time brainstorming ways to build relationships with these influencers where it makes sense for your business. Can you collaborate on a seasonal project? Interview the influencer so your audience can be exposed to new people with exciting ideas? 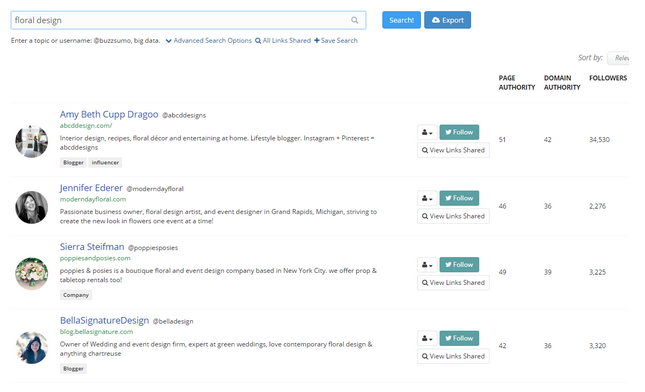 Type in a topic like “floral design” to see influencers sorted by followers or engagement metrics. Identify which individuals may have a related audience on Pinterest that would be beneficial for cross-promotion or other types of collaborations. 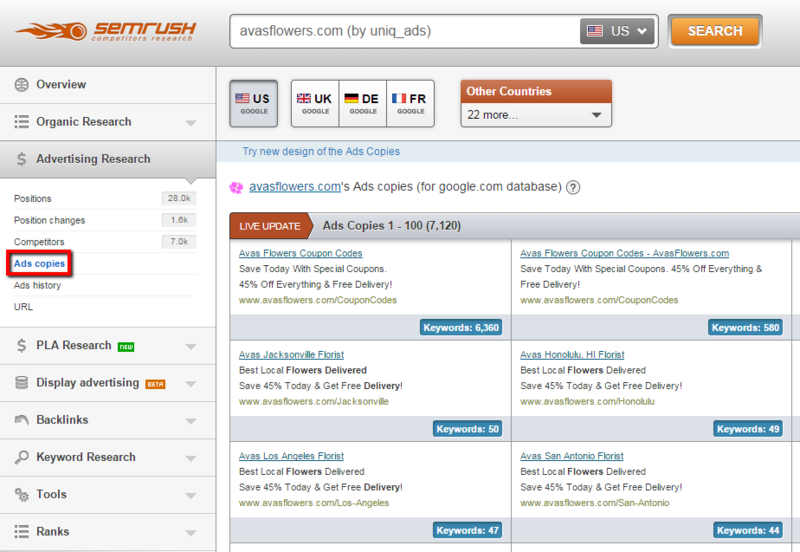 SEM Rush is a tool that, well, it can do a lot of things. But when it comes to Pinterest, SEM Rush can help you optimize your boards specifically for Google by allowing you to find the exact keywords that Pinterest is organically ranking for, so you can try to get your board ranking for a spot in these search results. Depending on the keyword, the Pinterest page that is ranking could be a juggernaut brand profile, or a Pinterest “browse by” page. Both of these can be tough to compete with. However, for some more mid-tail keywords, there isn’t much competition out there. Depending on the keyword, the page that is ranking could be your Aunt Susie who has 100 followers, 5 boards, and 0 optimized descriptions. And chances are, she won’t mind if you outrank her. And if she does, we would love to meet her! Want more details? Check out this quick tutorial! Not only will SEMRush help you optimize Pinterest, it can also kickstart content ideation in general! Analyze keyword performance and use this information to come up with image names, board topics, and more. Struggling to come up with snappy descriptions for all of the images you’re sharing? We’ve got you covered. Take the time to step outside of what can easily become a Pinterest bubble. What paid search strategies are working for your brand or your competitors? Often times, you’ll find inspiration for a new call to action that can be incorporated into copy on Pinterest. The Pinterest Analytics suite is one of the most valuable tools Pinterest provides, allowing you to gain insights about your followers to help determine their interests & better track your Pinterest success over time. The analytics platform has evolved and shifted as Pinterest realized that brands and users needed a way to measure success and determine areas for improvement. 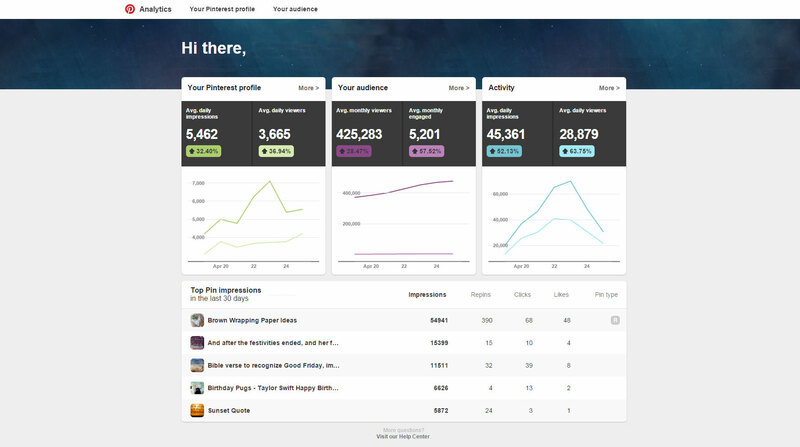 Currently, Pinterest Analytics is open to anyone to use and can be accessed through analytics.pinterest.com. Pinterest Analytics is broken down into three separate sections including “Your Activity”, what you’re pinning to your page and how it’s performing; “Your Audience”, what your followers are pinning and what they’re engaging with & viewing; and lastly, “Activity From Your Site,” what people are pinning and sharing from only your specific site. You can also see new data about your audience, so you can learn what your customers really want. Ultimately, you can see how your website is doing on Pinterest. The analytics package breaks down your Pinterest profile activity into impressions, how many people scroll by your content, and viewers, how many people actually click on your pins, repins & content. Evaluating your most repinned pins can help guide future decisions on content and looking at “Best in Search”, shows you which pins are most optimized. What pins are being viewed the most and have the best reach? Which pins get shared the most and are performing the best for our brand? How are we trending over a certain timeframe & does our time investment have a direct impact on success? These are insights that can not only help you shift your current strategy, but can also guide content creation and Pinterest strategy in the future. If anything, you can at least quickly measure your Pinterest performance and engagement month to month to help track success and areas for improvement. It’s also important to evaluate if your work is having a direct impact on results. Does your activity correlate with spikes in impressions, clicks, repins, etc. and is this improving over time? Using this data, you can determine what days work best to pin, which would allow you to set up a pinning schedule. Being consistent with pinning is important as you try to grow your follower base and remain relevant. Demographics are a vital part to creating any marketing strategy. Knowing who you are interacting with & speaking to, can help guide new pin boards, determine pinning frequency and even your onsite content from which you pin. The “Your Audience” section of Pinterest Analytics allows you to better analyze your followers and those interacting with your brand by interest, location, language and gender. Perhaps you have a growing audience of French-speaking wine lovers. A board that targets both their language preference and regional location could better engage them and further expand your brand’s reach. Competitors might not be targeting these demographics, giving you a leg up when creating these customer/user relationships. Maybe you didn’t realize that you have a large following in San Francisco & Seattle, so creating geo-specific content such as the “best dog parks in Seattle” or “the best outdoor activities to do when visiting San Francisco” might be valuable. If you brand is location specific, maybe this helps guide areas you should look into for expansion or even PPC targeting down the road. This section of the Pinterest Analytics platform also allows you to uncover your followers’ interests which can be vital when creating new content for your brand. Explore new metrics about the people who engage with your business and what else they’re into. See your audience’s most common interests and what other businesses they follow, then tailor what Pins you add based on that information. If you have a product or location that caters directly to consumers, use their interest within Pinterest Analytics to help guide your content creation. Perhaps you didn’t realize that your users are interested in both “Healthy Eating” and “Desserts,” so you could create a content piece that focuses on the best foods from both categories. Maybe your audience really enjoys DIY projects, so you could create content that takes your products or services and gives them a “do-it-yourself” twist. Evaluating audience brand insights can also help your business create content and even look towards building brand relationships. If your audience tends to follow “The Berry” or “Babble,” maybe you follow them on Pinterest and repin some of their great pins. You know your audience is already interested, so perhaps you could look into creating a relationship with that brand or co-producing content. Outside of Pinterest, can you advertise with them, send out a co-sponsored email campaign or interact with those brands on other social media platforms? Lastly, Pinterest Analytics allows you to narrow down metrics and activity solely from your own site. This allows you to see what others are pinning from your domain and how that’s performing on Pinterest. 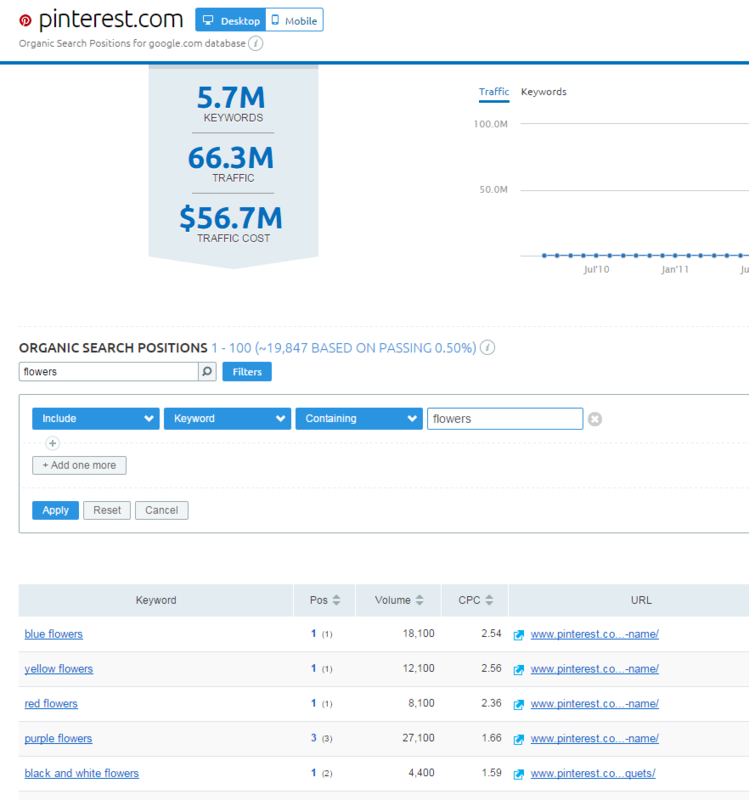 You can then break this down further by average daily impressions & viewers, top pins & repins, and top pins in search. A popular way to help improve these metrics and get your business discovered on Pinterest is to include “Pin It” buttons on relevant images or on popular content pieces. When you add the Pin It button to your site’s pages, you let your customers save things they like onto their own Pinterest boards, which means even more people can find it. Besides impressions and clicks, the top pins and repins section can provide an abundant resource for popular content and data to make decisions. If you have products that appear in the top pins section, perhaps you could roll out other marketing initiatives to support this discovery. Combine an email campaign, with a discount on a product, along with a social media push and you’re off and running. Top Pins in search also help you to determine the value behind optimizing your pins and ranking well on Pinterest. If you have high-quality pins, ranking highly for a variety of searches, you should see an influx in impressions, clicks and potentially new followers. Using the “pin it” button you can ensure your images, URL’s and descriptions are all up to par. Taking the data in this section, you can then interact with pinners & accounts that have pinned your images to their boards. Go through and like, comment, follow, etc. to interact with these potential customers. You can also find board ideas & follow boards that might be relevant to your business or brand. Lastly, you can then use this analytics data to create content that plays to these pinned boards. 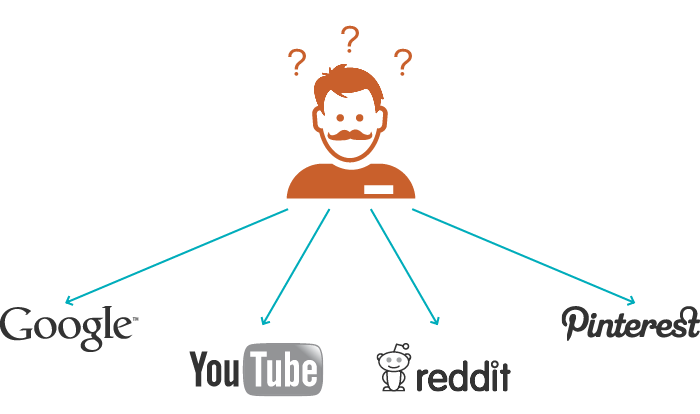 This will help you to identify influencers, popular pins, etc. iPhone app launched in March 2011. 11.7 million unique visitors—fastest site to break the 10M unique mark and became one of the top 10 largest social network services. Pinterest no longer requires invitation to join. Pinterest available on Android and iPad in August 2012. First ads go live in October 2013. GIF support in January 2014. Unlimited secret boards available in February 2014. 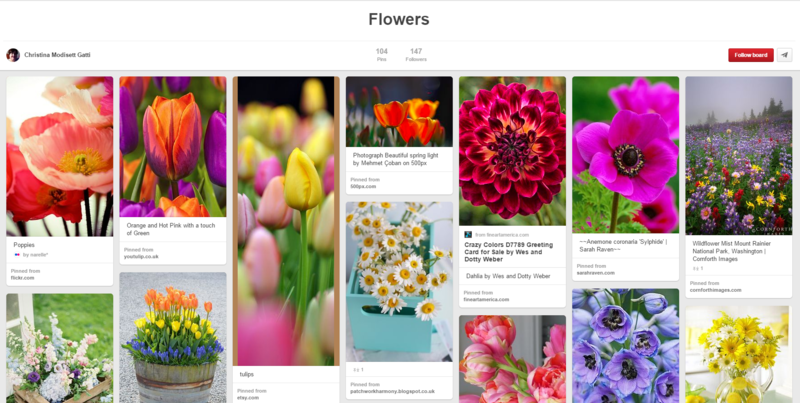 Pinterest releases Guided Search on mobile, April 2014. Pinterest launches Promoted Pin beta, May 2014. Pinterest’s partners with Gap, Target, and General Mills in paid ad initiative in May 2014. Pinterest offers waiting list for Promoted Pin testing, June 2014. Pinterest available on Windows Phone in June 2014. 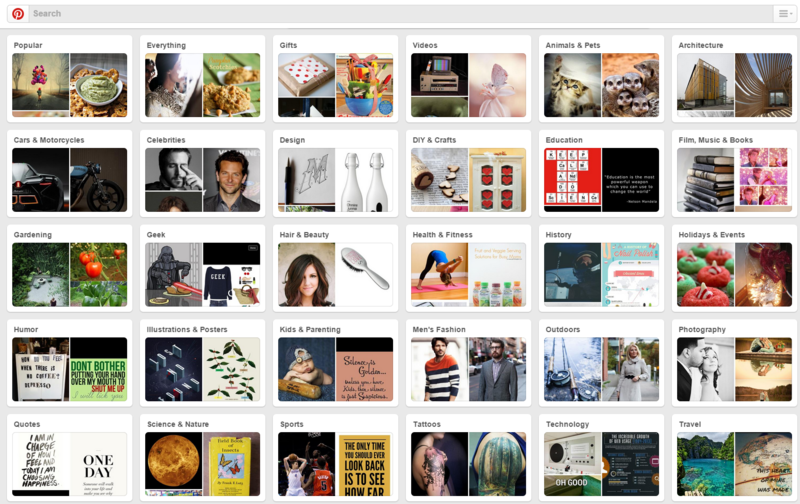 Pinterest releases Guided Search for desktop, June 2014. 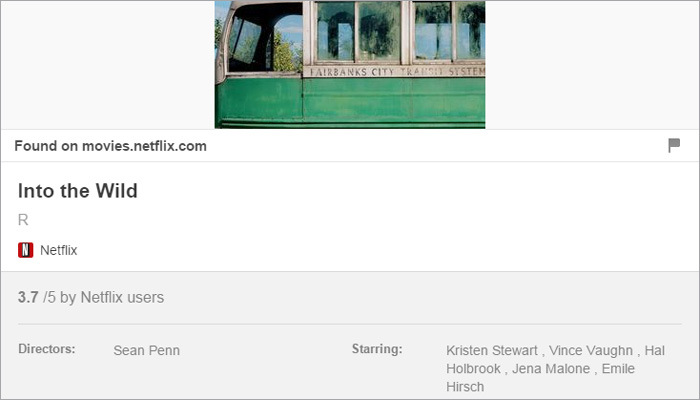 Pinterest releases Promoted Pins to general public , January 2015. February 2016 will see 50 million active users in the US.